FRUIT COVE, Fla. - St. Johns County deputies arrested a man Wednesday afternoon who was accused of stealing a car in Jacksonville and crashing it in the Fruit Cove area, the Sheriff's Office said. Deputies said that when the Honda Accord crossed the Julington Creek Bridge into St. John’s County, a license plate reader alerted deputies and they were able to stop him almost immediately. 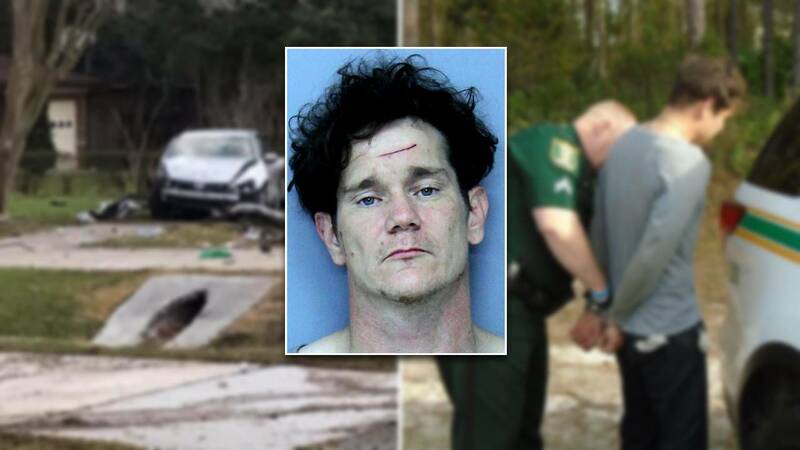 They said the suspect, later identified as Daniel Wood, 33, initially pulled over for the traffic stop then sped off at over 100 mph and ended up flipping the car in a wreck right in front of a home on Fruit Cove Road South. About 4:30 p.m. Tuesday, deputies announced that they had found Wood near Natures Hammock Way. He was arrested on charges of grand theft, fleeing and eluding law enforcement, reckless driving, resisting without violence, driving with a suspended license and leaving the scene of an accident with property damage. He was taken to the St. Johns County jail, according to the Sheriff's Office. Photo courtesy of St. Johns County Sheriff's Office. 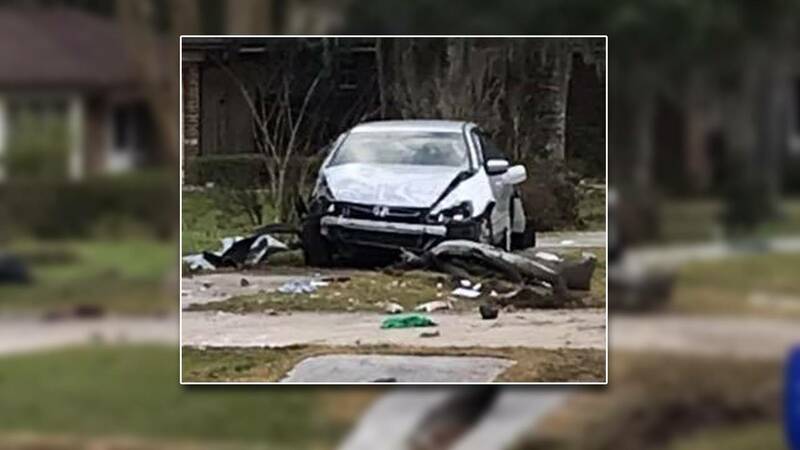 After crashing the vehicle, deputies said, Wood ran off through neighborhoods headed toward Duval County. At one point, he was spotted on someone's roof. K-9 units and a helicopter assisted in the search for the man in the area along Fruit Cove Road South. One family that lives at the home where the vehicle crashed said they thought the loud noise outside was something falling in their yard but now they think the suspect tried to get through their fence as he ran off. Several neighbors said the chaos caught them off guard when they woke up Wednesday. “I was completely shocked. I mean, not with what’s going on in today’s society, but in this area, in Julington Creek, Fruit Cove Road, we’re all just really nice southern people -- and you just don’t hear stuff that big happening," Andrea Grimes said. A woman interviewed by investigators said Wood had been driving the Accord for two weeks and got it from two women in Jacksonville. She told deputies Wood took off around 4:30 a.m. Wednesday after a fight with her.